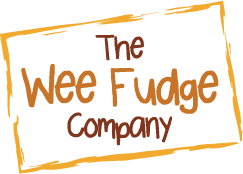 Our fudge is made from a favourite Scottish recipe using sugar, milk products , unsalted butter, and flavoured with fresh and baked fruit, Belgian and Swiss chocolate, natural spices, oils and natural extracts. 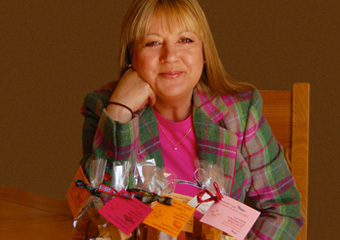 What makes our fudge so good and so different is that the additions are raw, natural and integral to the process . We don’t use syrups or flavourings - in fact our summer berries are added fresh from picking. We aim to develop our range using only the finest and most natural and flavoursome ingredients we can find, many from Scotland’s larder. We never add artificial flavours nor any colourings or preservatives. That’s why we think we are award winning – everything is freshly made using only the best and most natural ingredients we can find! 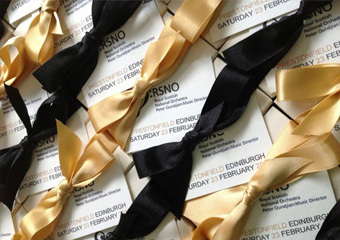 If you would like to buy a small quantity we will happily do our best to oblige. Please drop us an e mail via our Contact Us page , let us know your requirements and we’ll get back to you within 48 hours. Standard bags (125g) are £3.00 each in any of our flavours. 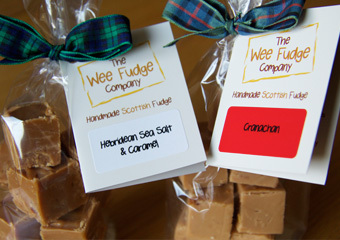 Prices for fudge gift boxed can be provided on request. Packages containing 1 or 2 bags can be sent First class by Royal Mail at a cost of £3.20. 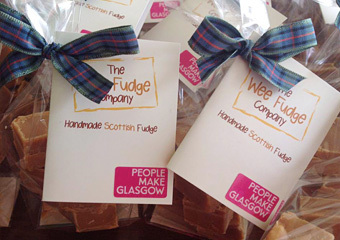 Our fudge is a fresh product so it should be stored in a cool dry place and enjoyed within 3 weeks of delivery. All of our fudge is gluten free.